Thanks to its spiral binding, this photo book M is super light, flexible and practical. The transparent cover gives the book a stylish look. 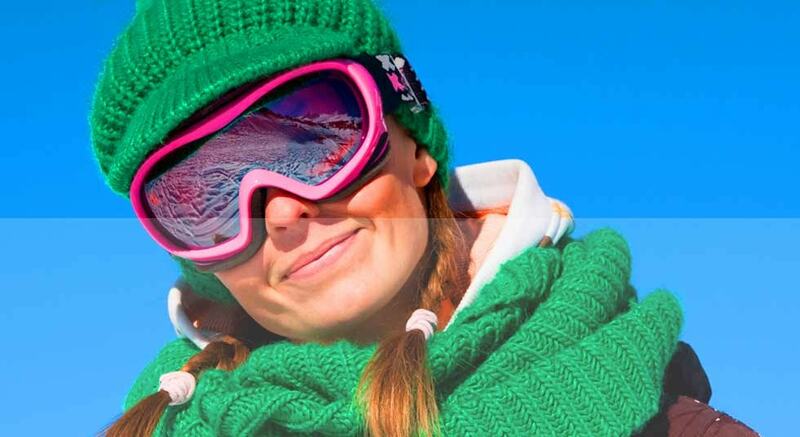 Take it anywhere and show off your photos! Printed spiral photo albums are a great way to get an informal scrapbook style without the mess. 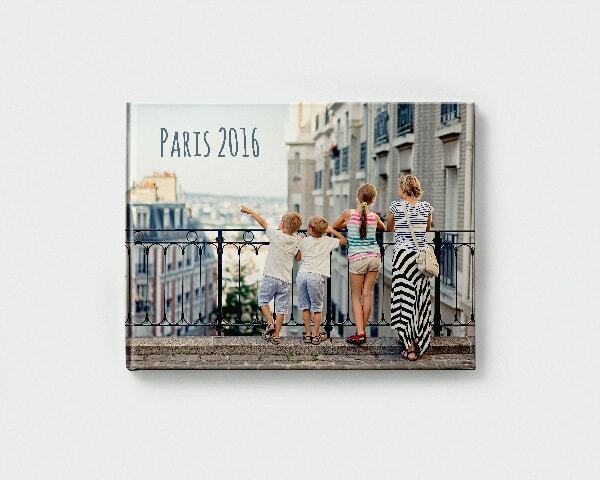 You can personalise your photo book with a spiral binding any way you like in our easy-to-use creator tool. And you can even get your album printed on gloss paper for a vibrant finish. To keep the first page of your album looking its best, spiral photo books also come with a protective transparent cover. 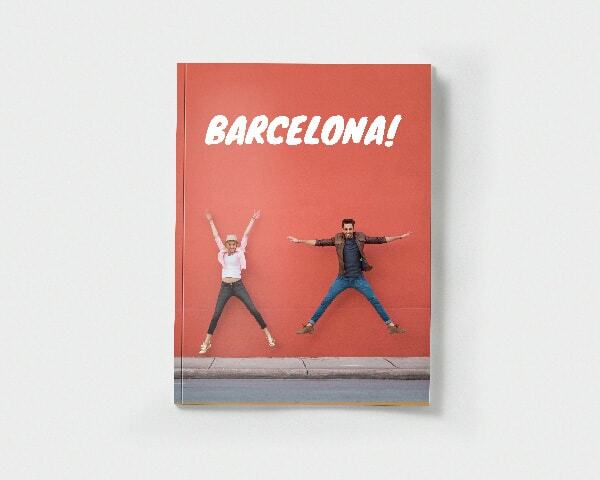 So, if you’re taking your book on the road with you, you can make sure your favourite snaps stay in great condition. 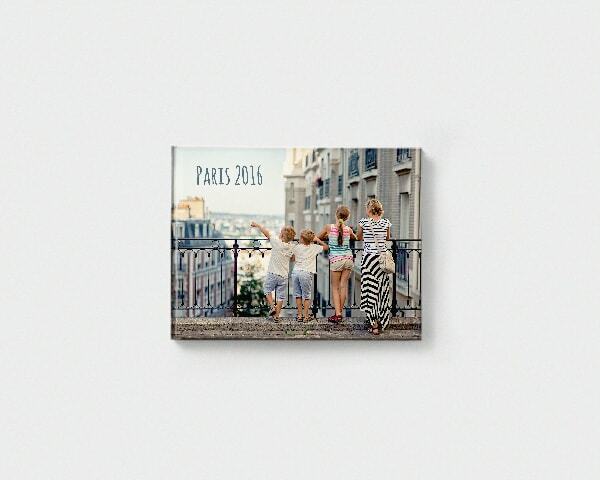 To start, head to our creator tool to choose the photo album binding you want. 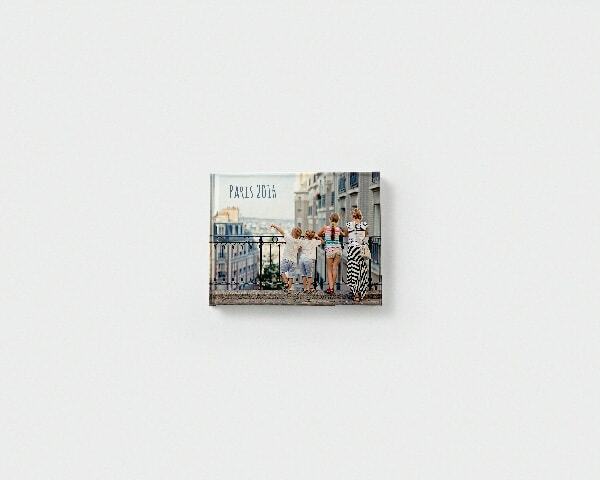 The spiral photo book binding is available on a medium landscape format ¬– perfect for displaying all the views from your travels or group shots of your friends. Once you’ve selected the spiral photo book, you can start uploading the snaps you love and play around with different layouts, clip art, and masks. There’s a huge range of background images to work with too, from travel-inspired backgrounds to floral patterns. To see what your finished spiral-bound photo book will look like, you can preview it in the creator tool. And when you’ve got the look you want, add your finished project to your basket. At this stage, you can select gloss paper for greater image contrast, so you can make the colours pop in your party snaps and shine in your holiday shots. Then you’re ready to place your order and have your customised photo book delivered straight to your door. The spiral bound photo book M comes complete with a protective transparent cover. 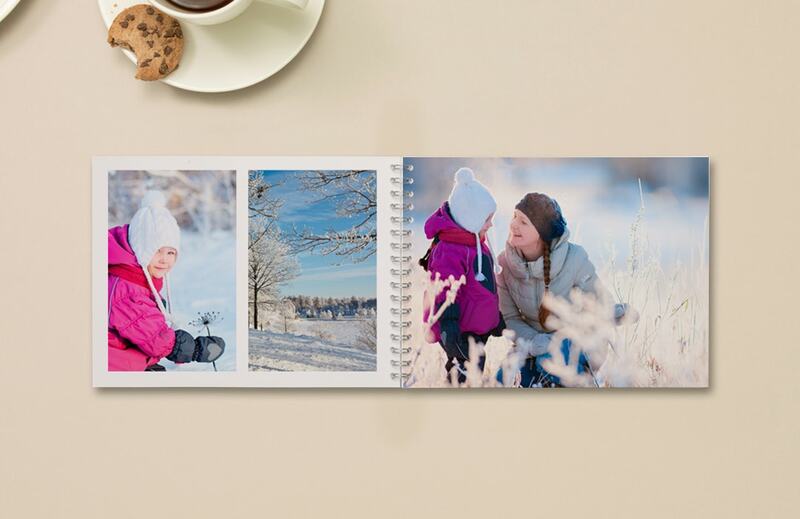 So make sure your first page is beautifully filled with your best photo(s) to let your photo book stand out!